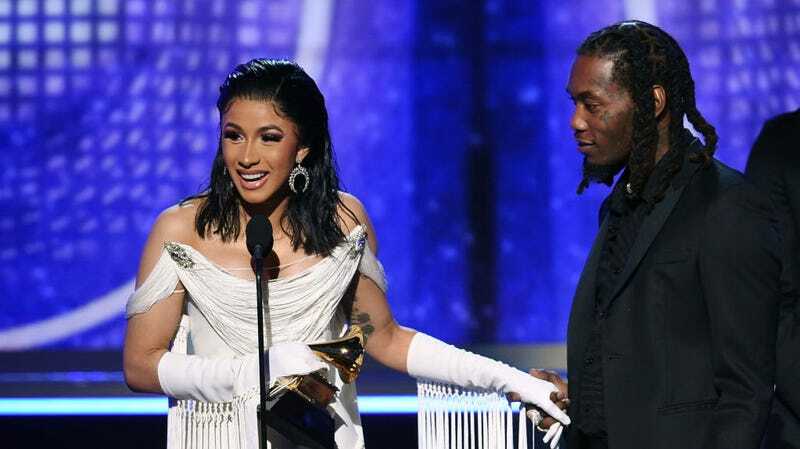 Offset just teased his solo debut in a manner that, based on his behavior as of late, we’re just gonna go ahead and dub “Offset-ian.” The Migos rapper—after jeopardizing his marriage to Cardi B, storming the stage at one of her concerts, and doddering next to her onstage at the Grammys—decided to slip in some footage of the “Bodak Yellow” rapper giving birth into a short promo for the album. Dude. The 45-second promo for his much-delayed release intercuts clips of the rapper puffing in the studio with footage of his kids, three of whom are from previous marriages. Maybe the album deals with themes of family? And that’s why he’s inviting us into this very sweaty, very chaotic delivery room?